Is it times some of your cows got their Leaving Cert? The tail of the drought continues on dairy farms in the southeast and midlands. The contrasts in challenges experienced by farmers in different parts of the country are phenomenal. Dairy farmers in the north and west coasts have seen an excellent recovery with land set aside for second and third cuts of silage. The scenario is radically different on farms in the south and east. You can sense the anxiety among farmers as you conduct an assessment of reproductive performance in their herd. An analogy can be made to the impact of Leaving Cert results received by families this week. Tough decisions have to be made on the basis of pregnancy data. Many cows will have their passports stamped with a ‘leaving cert’. The significant difference this year is the timing and scale of culls. Normally, this would be a time of year when cows produce milk cost efficiently from grazed grass. Cows for culling would normally leave the farm at the end of their lactation in November and December. In contrast, there have been no ‘leaving certs’ for dairy farmers. Many have postponed their annual holidays. The Farm Relief Service report significant cancellations in bookings for holiday staff. Cow diets are akin to winter diets. Farmers are faced with many challenges meeting the needs of cows on a day-to-day basis and planning the future needs of the herd for the winter months. On a positive note, the extra costs associated with the increased summer feeding have left herds in a healthier state. Milk production is still profitable. Body condition scores for this stage of the production cycle are excellent where dietary supplementation was on the basis of milk production potential. Some farms have continued to feed up to 8kg of an 18pc protein dairy ration. Pregnancy rates based on the first nine weeks of the breeding season for herds starting breeding in the last two weeks of April reveal figures ranging from 55pc to 95pc. Factors associated with this range include calving spread in the spring, poor dry cow/fresh cow transitions, and inadequate dietary supplementation during the summer months. Many farmers now accept that dietary supplementation with concentrates will be an integral part of grass-based milk production systems. Inventories of conserved silage will have to increase to address the ‘rainy day’ scenario. There is too much stress associated with having a hungry herd of cows. It is totally unacceptable for some commentators to suggest that cows can be allowed to lose BCS at this time of the production cycle. Cows need to gain BCS now in preparation for herd survivability next year. Farmers faced with dietary restrictions have harsh decisions to make now. The passport stamp for cows to get a ‘leaving cert’ will not simply be on the basis of being empty. Normally, the month of August would be a quiet month for pregnancy scanning of cows using the SmartScan Experience. Culled animals include cows that are empty, cows pregnant but calving after the end of March, older cows carrying twins, cows carrying dairy male calves, cows pregnant with high SCC and three-teater pregnant cows. 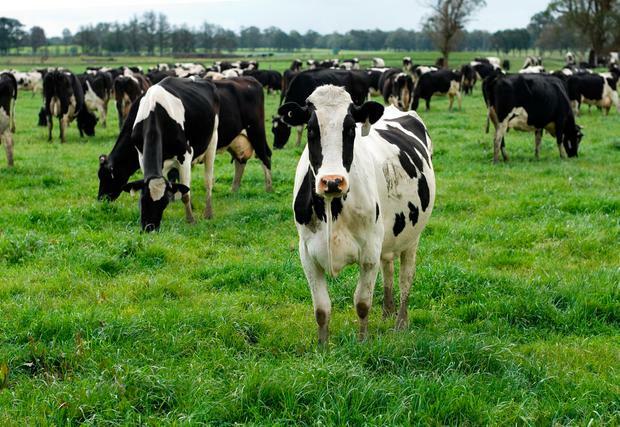 Some farmers have to reduce their milking cow herd by 25-35pc. There is a reality that there is no market for an in-calf heifer with current prices ranging from €600 to €800/hd. At these prices, farmers will cull more of their existing herd. Costs of milk production have increased significantly this year. Milk markets have strengthened which should result in an improved farm gate milk price. Consult your nutritionist on how best to use supplemental concentrates to enable the harvest of second or third cut silage and to extend the grazing system season into the back end of the year. Difficult decisions have to be made now in culling cows which would be retained in the herd in normal years. This year is a wake-up call for many dairy farms. Sustainability of the farm business will be a key word in future decisions on farm expansion. Skilled labour will also continue to restrict expansion.